Modular homes for Jacksonville families are gaining prominence in the housing market. Considering the quality you can get at a reasonable price, it is understandable why more people are deciding to choose this housing option. With the help of a reliable company, you can start your search for the best floor plans for modular homes in Jacksonville! Modular homes in Jacksonville are less expensive. Having an actual house to call your own home does not come easily to most people. Purchasing a site-built home can be quite costly. If you want to buy a house but are lacking in funds, modular homes for Jacksonville families will work great for you. Since modular homes in Jacksonville are made by a manufacturer, you won't have to deal with costs that come with on-site construction. Modular homes in Jacksonville come in a variety of styles. If you think that modular homes for Jacksonville folks can only look a certain way, then think again. The designs and floor plans for these residences are endless. Since our affiliated manufacturers offer a variety of floor plans for modular homes in Jacksonville, we guarantee that you will find one that suits your budget and lifestyle. If you have something specific in mind, you can always submit your custom drawn plan to us so we can start working on it. Modular homes in Jacksonville leave no waste. When modular homes in Jacksonville are brought to your property, they arrive in pieces and are assembled using a machine. All the features needed for modular homes in Jacksonville are installed into these pieces prior to delivery. As a result, there will be no construction materials and other waste left on your property once the house is assembled. Modular homes in Jacksonville are made fast. Though homeowners can have control over the features of their stick-built properties, they won't be able to move in as soon as they want to. On the other hand, people who opt for modular homes in Jacksonville can start living in their new house after just a few weeks. Modular homes in Jacksonville are built fast since they are made in a factory setting. External factors, such as inclement weather, will not hinder the construction of your ideal home. Home Connections is a company that has been helping people live in a house that suits them best since 2004. We understand how important it is for you to provide your family with quality shelter, such as modular homes for Jacksonville families. Our company strives to make residential properties, including modular homes for Jacksonville residents, available to people who seek affordable housing options. Draw up a contract and floor plan. Do you plan to purchase a new house? Modular homes for Jacksonville residents might be what you are looking for. With the help of Home Connections, finding the ideal home for you will be a piece of cake. 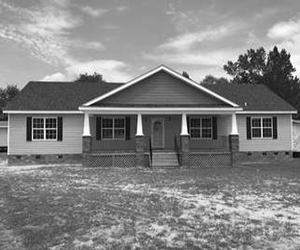 If you are interested in learning more about what we offer, such as modular homes for Jacksonville families, give us a call today at 910-298-3387. Are you planning to buy a house? Live the American Dream with our economic and sustainable housing solutions! At Home Connections, your dream home is within your reach. Get in touch with us today at 910-298-3387. To learn more about our company, visit our website. We will build you an affordable home.